Maybe it's getting old? Maybe I'm finally growing up... Hang on a minute I'm, talking about taking up Lego as a hobby again?! 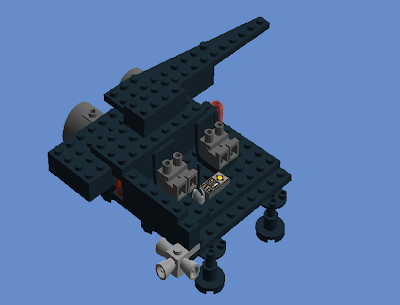 Okay, speaking of Lego, here wave the wings started and the pilot and co-pilots seats and controls starting to take shape.